Have You Considered A Career As A Preschool Teacher? Available Jobs: Based on an average in Bangalore, there are about 840 preschools with at least 2,000 job openings per year. Starting Salary: As a qualified preschool teacher, you can expect a starting salary in the range of 15K to 45K. Expected Average Salary: As an industry average, you can get a hike of 15% for the next few years. Preschool teachers work in pre-schools/nursery/daycares with children aged between two and five. Their work involves developing work schemes and lesson plans to motivate children, and imaginatively using resources to help them learn. 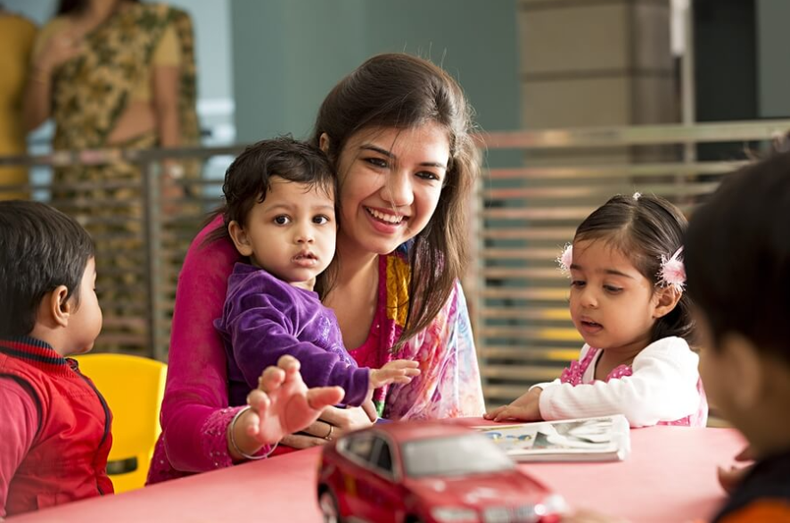 Preschool teachers work towards developing social and communication skills of children and provide a safe and secure environment in which the child can learn. They also record observations and summarize the children's achievements. The goal of a preschool teacher is to contribute to the healthy mental and emotional development of the child, so they can more easily acclimate to the next level of education. Day-to-day activities of pre-school teachers are mainly gathered as below. Every school has their own set of rules and regulations to follow, which could be a subset of the mentioned. Developing a careful and creative program suitable for preschool children. Employing a variety of educational techniques (storytelling, educational play, media etc.) to teach children. Observe each child to help him/her improve his/her social competencies and build self-esteem. Encourage children to interact with each other and resolve occasional arguments. Guide children to develop their artistic and practical capabilities through a carefully constructed curriculum (identify shapes, numbers or colours, do crafts etc.). Organize nap and snack hours and supervise children to ensure they are safe at all times. Track children’s progress and present a report to parents. Communicate with parents regularly to understand the children’s background and psyche. 1. You have a great love and patience for children. 2. You love to teach children the best practices. 3. You can engage with them and earn their trust and attention. 4. You are cool-tempered, friendly and reliable. Preschool teachers stand as a notable role model in a child’s early life. Early childhood educators support children during a pivotal time of academic development and personal growth in and out of the classroom. Preschool is sometimes a child’s first time away from their parents for an extended period of time. It can be a scary endeavour for children. However, as a positive and calm preschool teacher, you can help alleviate some of the stress and anxiety, often associated with this milestone. Preschool is also often the first time children engage and socialize with other children. As a teacher, you facilitate relationship building exercises that help children bridge social gaps to make new friends and establish social skills. Connect and start a conversation with Teachers, Educators, Learners on our community here. To talk to our career experts, click here. I am also interested in this job please tell what qualification is required? yes i am interested plz share your contact. Have You Thought About Opening A Day Care Centre?